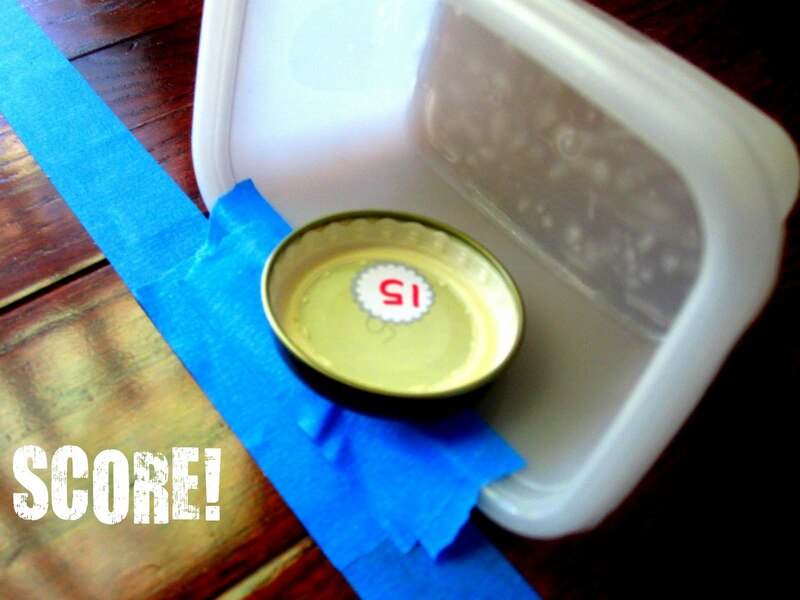 Baby food jar lids + hockey = awesome! The only material I forgot to include in my photo was painter's tape! Use it to tape up your floor to make a floor hockey rink. 1. 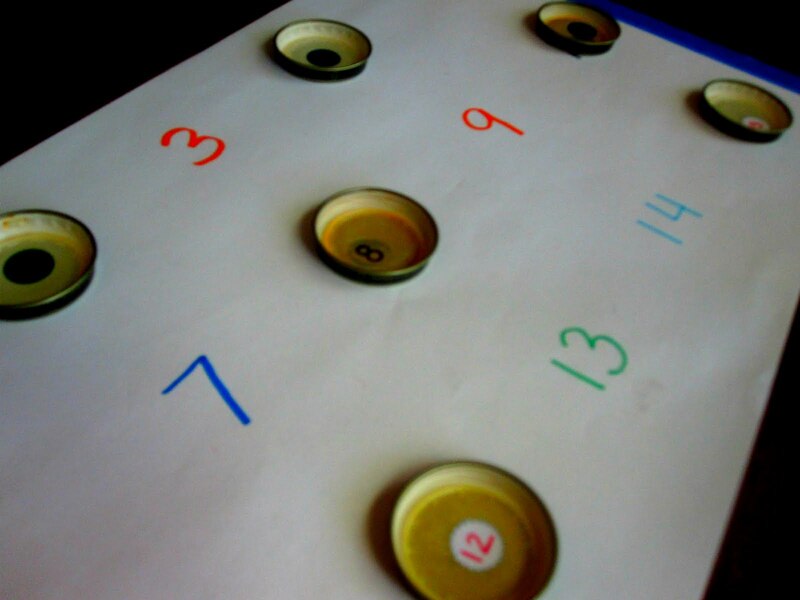 To create your number pucks, write each number on the inside of each lid with a pencil. 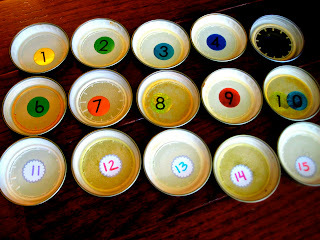 We only did numbers 1-15 today. 2. Then have your little helper find the corresponding stickers and cover over the pencil written numbers. 3. 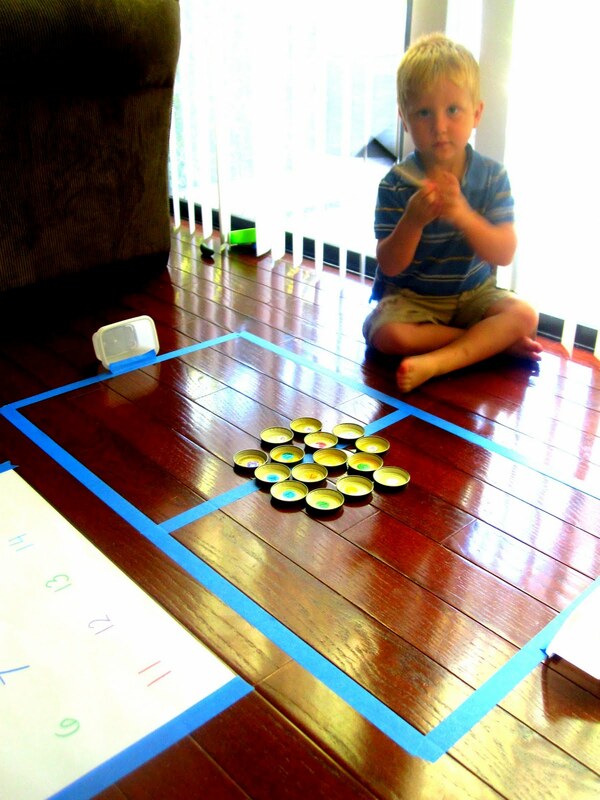 Practice counting all of your colorful pucks in sequence! 4. 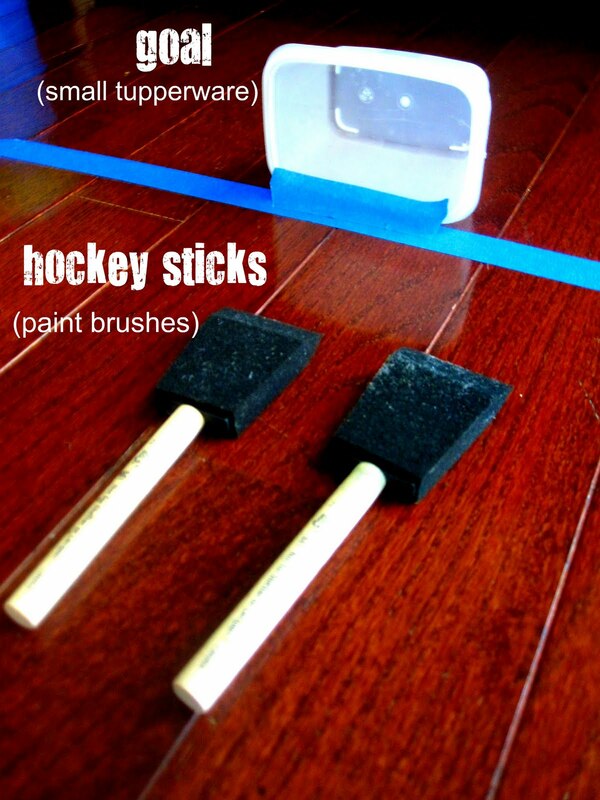 Make sure your rink is taped and your hockey sticks are ready! 5. 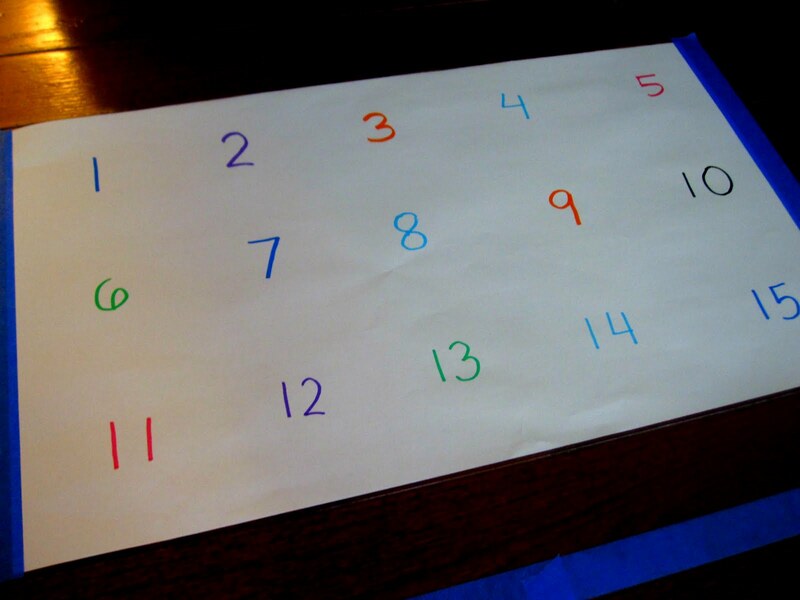 Write numbers 1-15 in sequence (or randomly) on a large piece of paper to put next to your rink. This is where all your pucks will "hang out" after they score a goal! 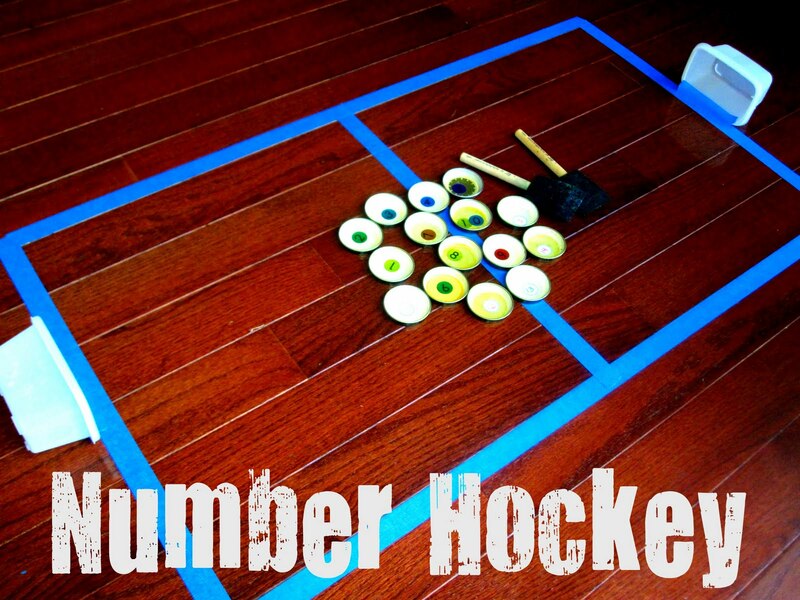 - game is over when one player no longer has any pucks left OR when all the numbers are covered! We'll probably come up with a new way to play tomorrow. There are endless variations and lots of other concepts that could be taught with this game. 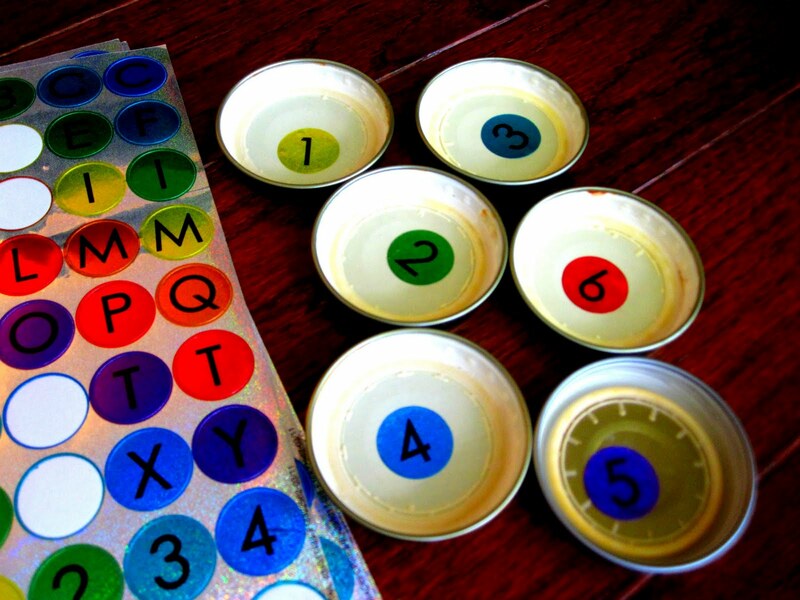 We may rip off the number stickers and try alphabet letters or simple sight words another day. This was seriously awesome and was the first thing my little guy wanted to share with his dad when he got home from work! Congrats to our blogging friend Deborah from Teach Preschool who now has over 20,000 followers on Facebook! 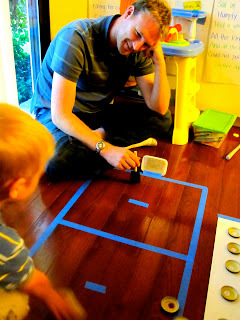 We're linking this post up at Teach Preschool's the ABC's of Teaching Preschool celebration! We love numbers and love to find ways to embed learning our numbers (and a plethora of other skills) into our activities each day... hence were calling this our N is for Numbers post in Deborah's linky. That is a super duper fun idea! I would have never thought of it and yet it is so simple! Thank you for adding to our ABCs! My son would go nuts for this! 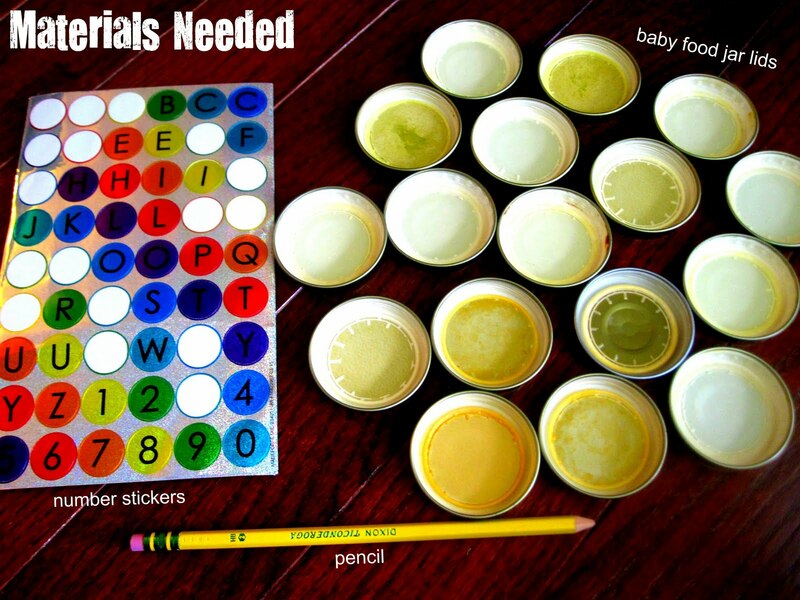 Thank you so much for sharing such a wonderful idea! Wow, this is great!! I'm gonna start keeping my lids now and try to do this soon. Thanks! This is such a fun idea! We're going to try it to practice double-digit numbers!